To say that everyone likes it is a bit of an overstatement. 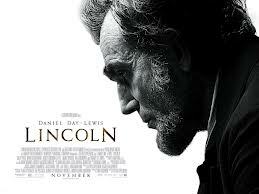 There are many who didn't feel as strongly about it--the phrase "Oscar bait" has been thrown more than once--but for the most part, you won't read too many people hating a movie about Abraham Lincoln striking down American slavery, especially if it's directed by Steven Spielberg. Its premise is the very definition of a "safe bet." For me, though, it was more than just a good movie based on a topic that everyone (at least in mixed company) agrees with. No, for me, it was the perfect storm of really good actors (*cough* Daniel Day-Lewis *cough*) giving really good performances (*cough* Tommy Lee Jones *cough*), great dialogue, an extensive historical setting, and a gripping political drama. It was like Steven Spielberg sat down and said, "Let's make a movie for Brett," and for some reason, everyone else said, "Yeah, okay." Seriously, though. This is like my Twilight. For a movie about abolishing slavery, I can only remember--at most--five African-American characters. As pointed out by NPR's Pop Culture Happy Hour, get ready for a lot of pompous white guys saying things like, "What's next--giving women the vote?!" While the direction was usually quite good, there are some scenes that seemed to run a little long, or that felt tangential at best. (I actually didn't really notice this one too much, but I have heard it being said by others). 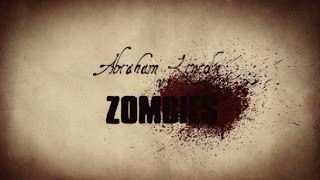 While certainly humanizing Abraham Lincoln, it doesn't really take any risks with his character. If you go into it expecting Lincoln to say, angrily, "I am the President of the United States," then you won't be disappointed. (See below, though--I actually really liked this part). Once again, that whole "Oscar bait" thing. That time when Abraham Lincoln said, "I am the President of the United States, clothed in immense power," and my arms got all goosebumpy. Any time Lincoln quoted a story. The politics of it all. I was fascinated to hear Lincoln talking to his cabinet about the legality of the Emancipation Proclamation from a position of federal vs. states' rights, and I found the back-dealing and underhanded measures involved in garnering a majority vote for the proposed amendment thoroughly wonderful. The movie has so many actors that I like. 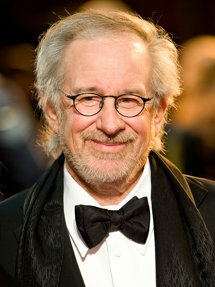 Tommy Lee Jones, Daniel Day-Lewis, Sally Field...not to mention David Costabile (a.k.a. Gale from Breaking Bad) and my wife's two favorite actors of all time. Thanks to her reaction to these two in the theater, I'm still able to follow Felicia Day on Facebook. The bottom line? If the biggest criticism about a movie is that it goes too far out of its way to be good, then it's probably a safe bet. As for me and my house, though, we really really liked it. Trust me, I know a thing or two about Lincoln movies. I loved the movie, too. My biggest issues were that it perpetuated the myth of Abraham Lincoln-as-perfect-emancipator, where his racial views were much more complex than that, and the relationship with Lincoln's son that was never really developed and ended up being a tangent. You bring up some very good points! I liked the scenes between Lincoln and his son, but they definitely did veer away from the overall plot. Also, there is a certain overarching beattification of Lincoln that overrides a lot of his actual complexities in favor of easily palatable generalities. Within the next few months I intend to read Eric Foner's "The Fiery Trial: Abraham Lincoln and American Slavery", and hopefully learn more about the complexity of Lincoln's racial views that Ben mentions, but, incomplete history and all, I think Lincoln is my choice for favorite movie of 2012, Just an amazing setting and sense of place, robust and interesting characters, political machinations, Daniel Day-Lewis...pretty much every necessary ingredient for a movie I'd love. Absolutely love Foner's book. Highly recommended. I was only able to see one film in a movie theater last year (Hunger Games) due to young children and a pregnancy but I'm planning on renting this from RedBox the second it's released. Your wife (and I) have good taste in actors. Also, I think my favorite part of the whole thing was Lincoln's story about the water closet with a portrait of George Washington inside. 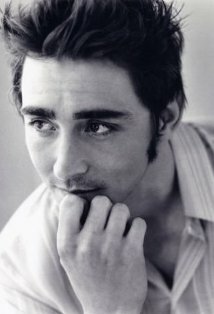 My other favorite part was how much I wanted to hate Lee Pace and just, you know, he's Lee Pace, and yet I did hate him. For being so super racist and pompous and everything. I loved it, great flick. Tony Kushner, let us all praise Tony Kushner who gave everyone such wonderful things to say. But then he is one of the greatest living playwrights working today, so I'm biased. But also I just want him to get a shout out because since this film will probably win best picture the best screenplay will probably go to a film like "Moonrise Kingdom" that is incredibly interesting and compelling but not politically a contender for Best Picture Press. Not that I have a problem with predictable in-built systems of balance that award off-beaten quirkiness in the face of titanic contenders like Lincoln, but I just want everyone to love Tony Kushner as much as I do.